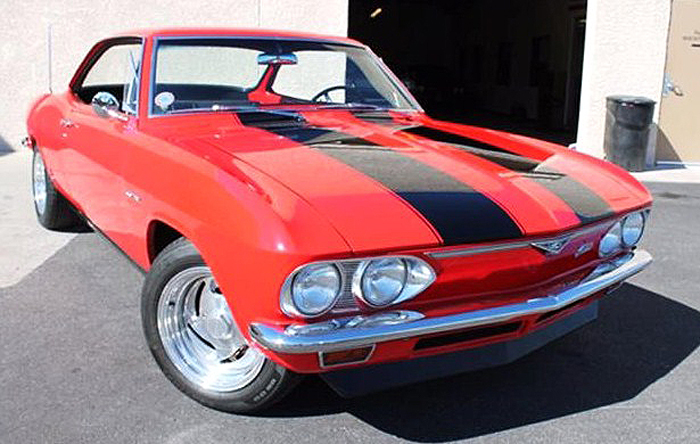 The Pick of the Day is a very unusual 1966 Chevrolet Corvair Monza hardtop, essentially a street-rod version of Chevy’s lightweight compact, and must be an incredible hoot to drive. 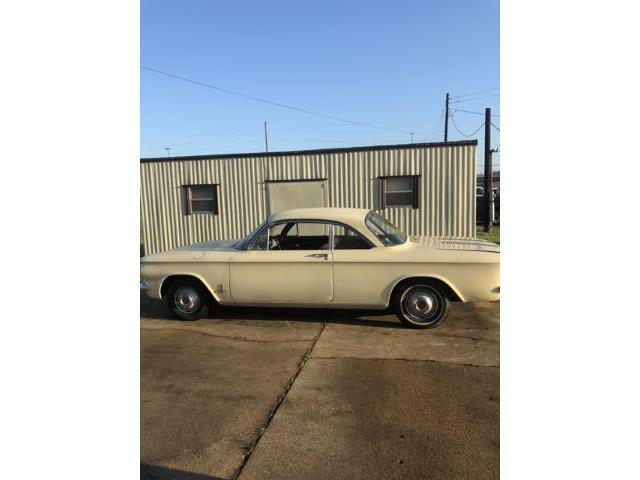 Curb weight for a stock Monza coupe is around 2,500 pounds, and a standard Chevy 350 would have a mighty horsepower and torque boost over a stock Corvair flat six, even a turbocharged one. 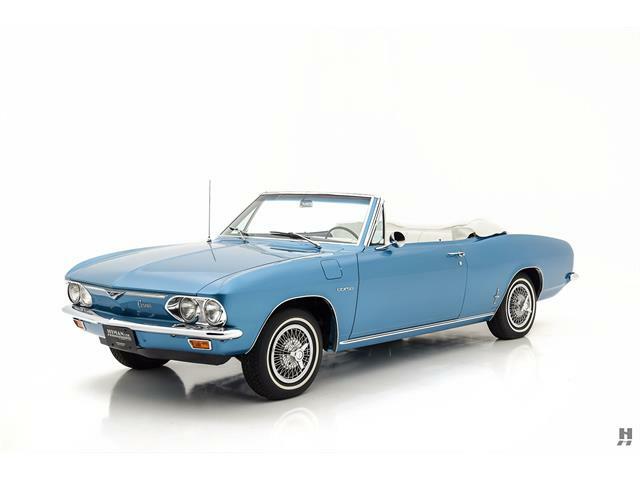 The Las Vegas classic car dealer listing the car on ClassicCars.com calls it a “truly unique Corvair” in the brief ad description. 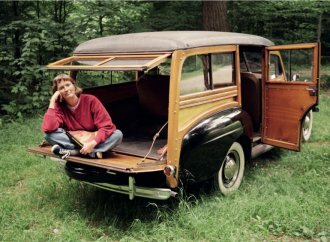 The transplant was done via a “quality SBC conversion” that started with a “rust-free California car” and “very well-engineered,” the ad says. 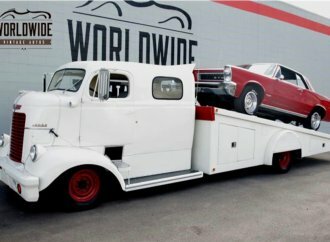 But there’s no word in the ad as to who built the conversion, the performance status of the V8, or how long ago it was converted and with how many miles since. 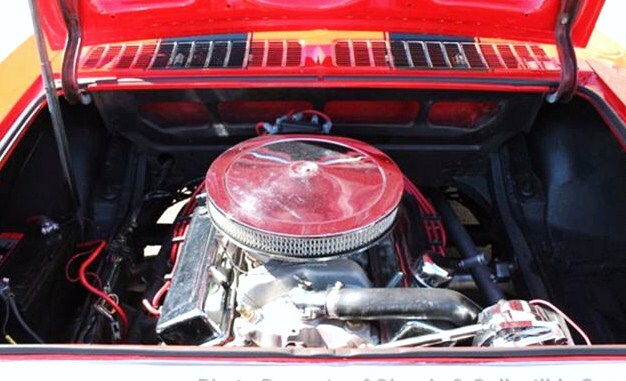 These are questions a potential buyer would need to ask the dealer. 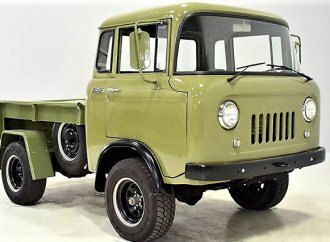 Nor does the ad reveal whether the V8 engine is cast iron, which weighs about 250 pounds more than the stock air-cooled Corvair engine, or aluminum, which weighs about 100 pounds less than the iron V8. 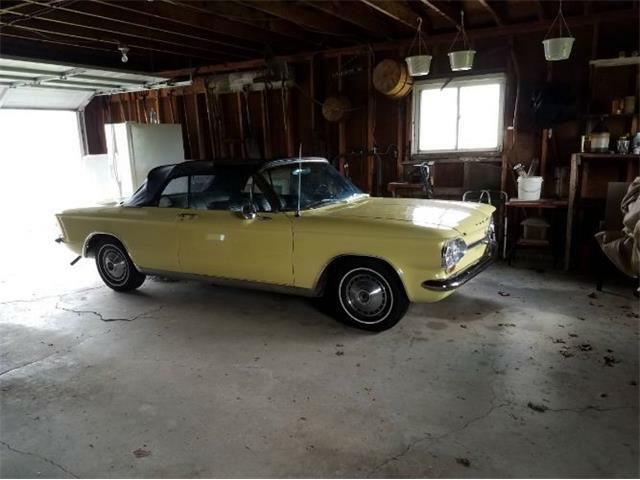 Whichever, the 350 would add a bunch of extra poundage swinging around behind the rear axle, so hopefully the builder engineered the car to compensate for the potential oversteer. 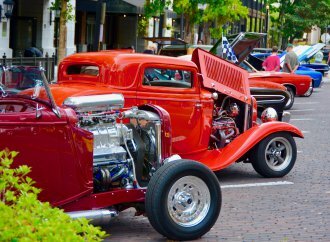 I assume that SBC conversion stands for Small Block Chevy since I could not find an entity called SBC on the Internet, except maybe Southern Baptist Convention, Sanford-Brown College or the Small Business Center. 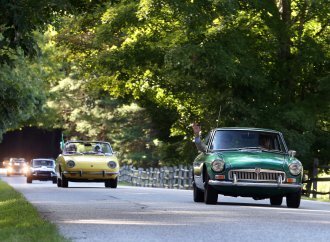 Nothing on V8 conversions for Corvairs. 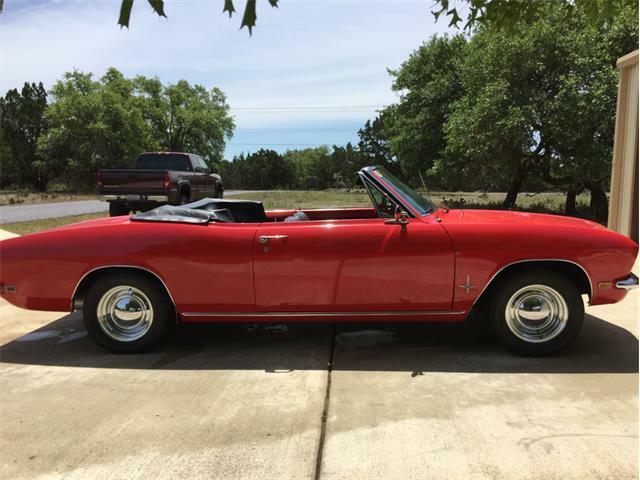 I did find kits and companies that, similarly, squeeze Chevy V8s into various Porsches, including little mid-engine 914s, though that seems like a crime against humanity. 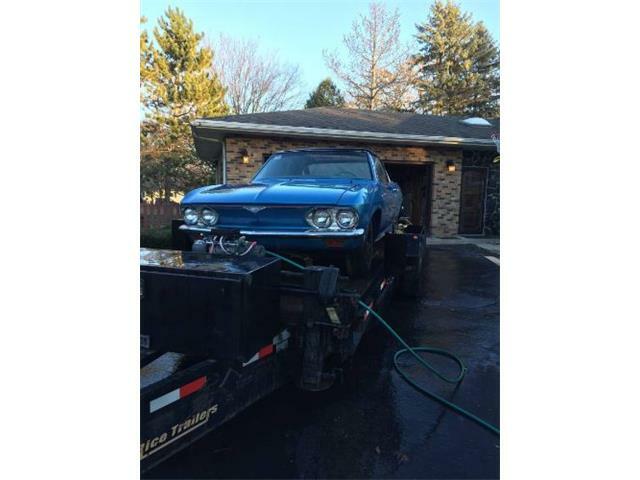 The Corvairs that I did find with V8 transplants had the engines mounted in front with a total chassis swap or else, in at least one extreme case, in the middle where the back seat used to be. 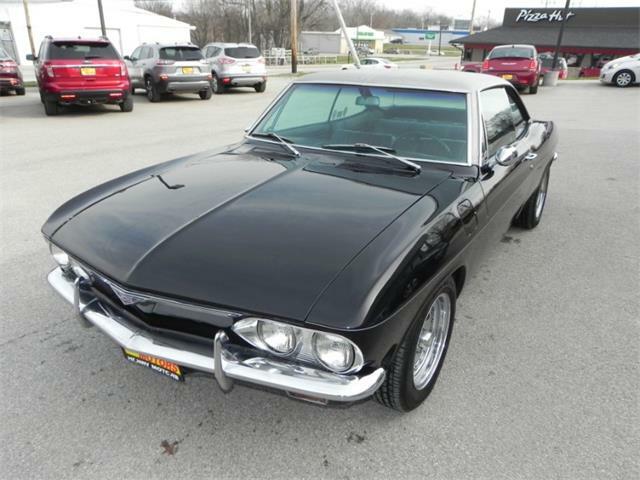 I’m sure there are other Corvairs with V8s in their backsides, but I didn’t find one. 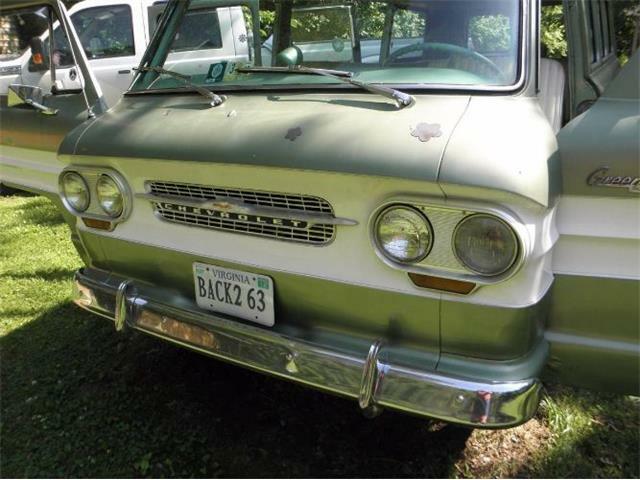 The radiator for this Corvair V8 is set up in the front compartment of the normally air-cooled car. The Monza looks very sharp in the numerous photos, with gleaming red paint and wide, black speed stripes over the front and rear decks. 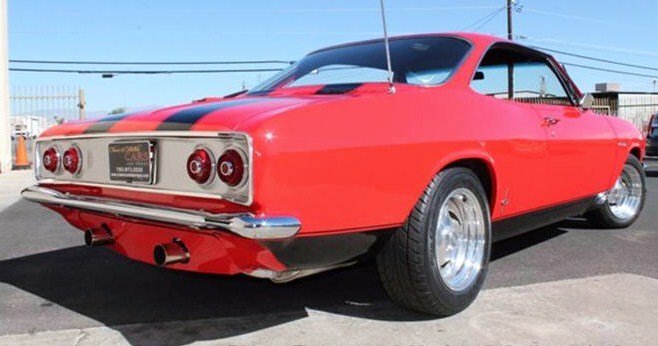 I’ve always liked the clean and simple looks of these later-generation Corvair coupes, and this one seems pretty sweet with stock contours and an athletic stance, and standing on Boyd Coddington chrome wheels. 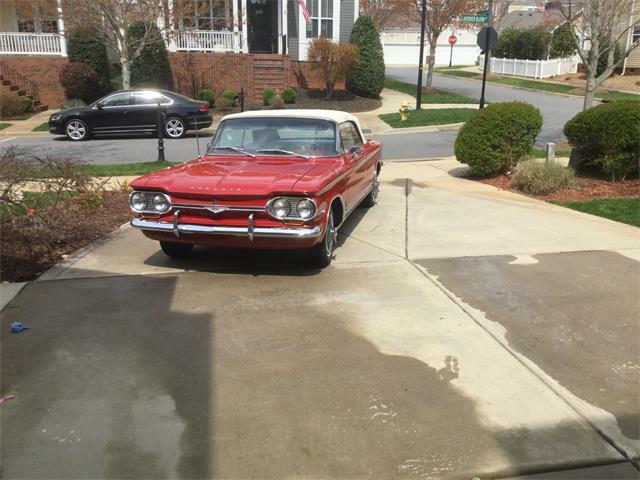 The dealer describes the paint, chrome and interior as in beautiful condition, and that the car runs and drives great. 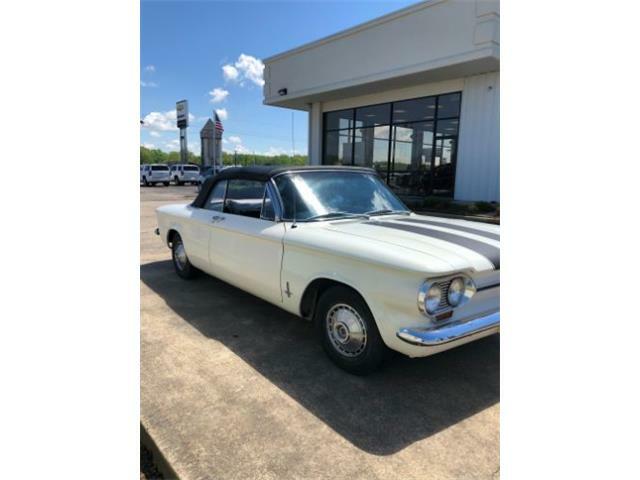 Besides the brawny V8, the Corvair also comes with a four-speed manual transmission, leather seats and a full factory gauge package. 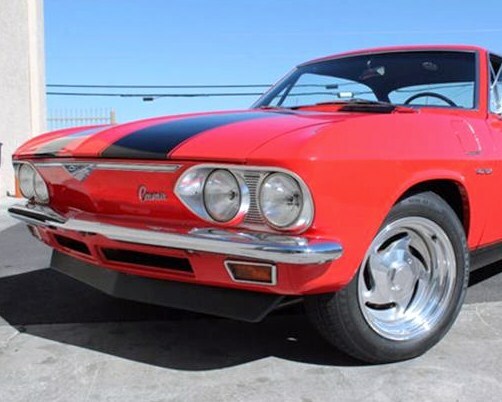 The asking price seems fair enough at $21,500 for this interesting Corvair, but I would say that a spirited test drive would be a must in order to make sure the car drives well with the added horsepower and extra rear weight bias. 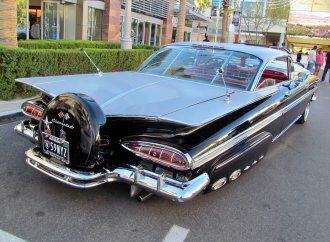 But if nothing else, I’ll bet it’s fast and would be a huge hit at local car shows. 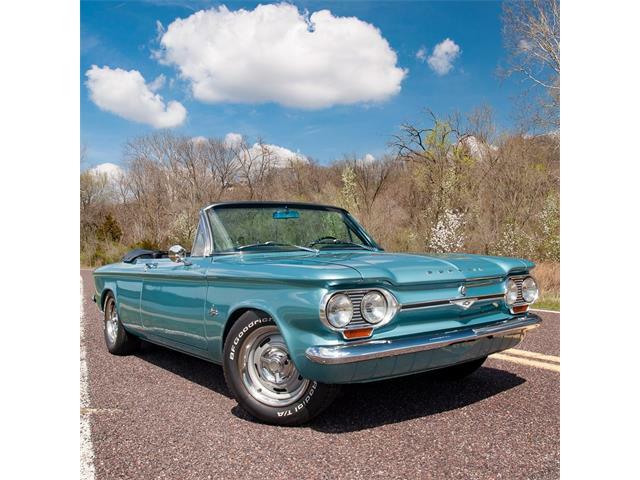 Although Corvair purists might curl their lips.